Even though it’s only one ingredient, it’s a fairly substantial difference in formula effect and status. With Noopept, Awaken Gold loses the all natural status owned by vanilla Awaken. Yet, Noopept further ramps up the brain activity. But is it enough to warrant a completely separate supplement name? Let’s read the Awaken Gold review to find out. Conclusion: Does Awaken Gold Work? By Awakened Alchemy, Awaken Gold is a Noopept-containing alternative of the original, all-natural Awaken nootropic stack. Noopept is a racetam-like synthetic compound (often misquoted as a racetam) that supplies a psychostimulatory effect for better mental performance. Due to Noopept, Awaken Gold may require a cycle-on, cycle-off schedule, unlike the original Awaken, which you can supplement with no worries of tolerance build-up. Directions: Take 2 capsules in the morning or early afternoon. Do not exceed 4 capsules in a 24 hour period. We recommend cycling 56 days on, 4 days off. According to Awakened Alchemy, Awaken Gold is essentially the base Awaken formula plus Noopept, “one of the most potent and effective nootropics available.” It’s smart for Awakened Alchemy to supply two versions of this formula, as not everyone is into synthetic nootropics — even generally safe synthetics such as Noopept. However, comparisons aside, let’s take a look at Awaken Gold’s complete ingredient profile before judging the total efficacy and value of this product. Vitamin B12 (Methylcobalamin) – Good form, hefty dosage — B12 plays a key role in numerous metabolic pathways, making it essential to general brain health and function. More on Vitamin B12. Beta Phenylethylamine HCL – Better known as PEA, this compound seems to work by potentiating the actions of dopamine, norepinephrine, acetylcholine, and serotonin for better mood, cognition, and energy. Yet, as an oral supplement, PEA’s benefits seem limited and weak. CDP Choline (Citicoline) – An awesome cholinergic nootropic for its two-part bind between choline and cytidine, a precursor compound to brain energizing uridine. Great for memory, energy, and focus. More on Citicoline. KSM-66 Ashwagandha Extract (Std. to 5% Withanolides) – Love me some ashwagandha. One of the groovier herbal adaptogens for its pronounced anti-anxiety benefits (that, admittedly, verge on the side of sedation). More on Ashwagandha. Green tea’s L-theanine keeps you calm and centered, so you don’t tip over. L-Theanine – Another awesome anxiolytic nootropic, except L-theanine reduces anxiety and improves mood without sedation. Quite the contrary: this green tea amino relaxed the mind while boosting focus via promoting alpha brainwaves, the brain frequency state associated with calm, creative thinking. More on L-Theanine. N-Acetyl L-Tyrosine – Under conditions of high stress and brain activity, L-tyrosine is a bit of a life-saver. By converting to catecholamine neurotransmitters (dopamine, norepinephrine, epinephrine, etc. ), L-tyrosine helps the brain stay sharp, warding off the cognitive impairing symptoms of brain burnout and fatigue. More on L-Tyrosine. Uridine 5′-Monophosphate – Citicoline’s cytidine converts to uridine for better energy production and synaptic plasticity. Yet, Awaken Gold keeps that train moving with additional uridine, further enhancing this product’s brain boosting potential. More on Uridine. Phosphatidylserine 20% – A key phospholipid in the cell membrane bilayer, phosphatidylserine is an awesome nootropic for memory, clarity, and cognitive longevity. May possess potential ergogenic benefits for the average, healthy user as well. More on Phosphatidylserine. Noopept – Here’s the “golden” ingredient in Awaken Gold’s formula: Noopept, a racetam-like compound with pronounced psychostimulatory effects similar to piracetam (except way better). While the cognitive health benefits remain stable over time, tolerance build-up to Noopept’s stimulation benefits is a concern. More on Noopept. PQQ (Pyrroloquinoline Quinone Disodium Salt) – Potent, powerful antioxidant compound that seems to extend cognitive longevity by promoting mitochondrial energy output. PQQ’s neuroprotective benefits make it particularly beneficial for elderly cognition. More on PQQ. Bioperine® (Black Pepper (Piper Nigrum) Fruit Extract) – Never a bad idea to toss in a little black pepper extract. In small doses, Bioperine may significantly enhance absorption of accompanying nutrients, thereby increasing the overall bioavailability of Awaken Gold’s ingredients. 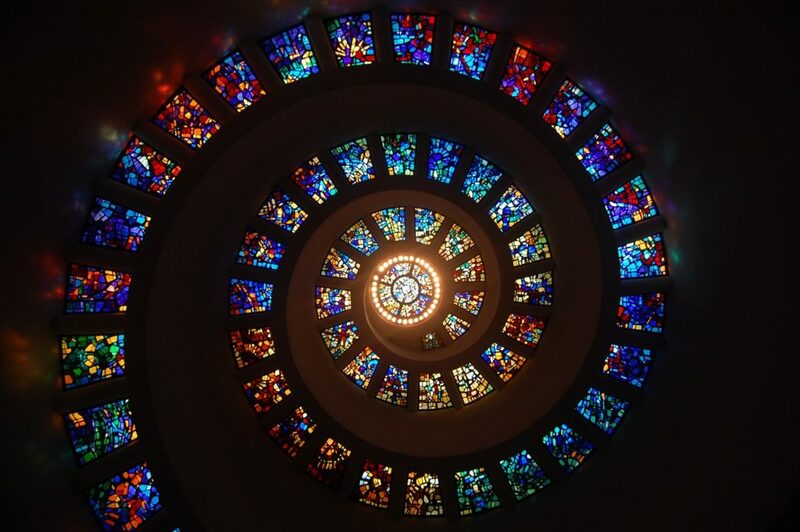 How deep does consciousness go? The OG Awakened Alchemy formula sparked my interest way back in the day. * (*Literally a year ago.) 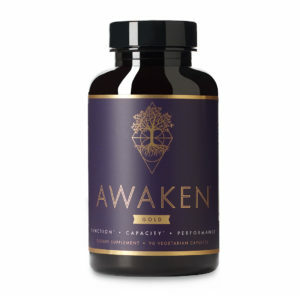 Sporting more or less the same formula found in Awaken Gold, the original Awakened Alchemy stack supplies an impressive mix of natural nootropics and synthetic brain boosters, bridging the Earth-grown style of Onnit supplements with the more druggy brain-hacking appeal of Silicon Valley transhumanism. Awaken Gold continues this tradition, except with more attention to natural nootropics over synthetic cognitive enhancers. As the enhanced “gold” version of the Awaken formula, Awaken Gold makes only one significant addition: Noopept. Whereas many supplement manufacturers supply caffeinated or caffeine-free versions of their nootropic stacks, Awakened Alchemy avoids caffeine altogether, instead getting its stimulation from a more nootropic source. 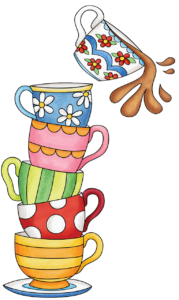 And I can back this move: Noopept’s “psychostimulatory” benefits stimulate the “thinking” parts of the brain without the usual jittery side effects typically associated with caffeine and other risky stimulants. Not that you’ll have to worry about those anyways with Awaken Gold’s chill mix of L-theanine and ashwagandha. If there’s any downside to Awaken Gold, it’s that Noopept introduces the need for a cycling schedule not otherwise required of the original Awaken formula. Not too much of a biggie, but a potential con nonetheless. Even so, Awaken Gold is a powerful, healthy brain booster, amplifying various measures of mental performance and cognitive longevity. Awaken Gold adds Noopept to the Awaken formula. Yet, the original Awakened Alchemy stack supplied Noopept within the base stack in addition to Sulbutiamine and Shilajit. Similar to Noopept, Sulbutiamine may come with tolerance build-up concerns, so I still hold that it was smart for Awakened Alchemy to deliver an all-natural vs. Noopept option. However, there’s now no longer any Sulbutiamine nor Shilajit in either formula. Although, supplementing either as standalone ingredients with the Awaken supplements is an easy, affordable option. The original Awaken formula supplies smart, powerful, natural brain boosts. Awaken Gold delivers the same with even more enhancement by way of Noopept. Awakened Alchemy does away with the annoying proprietary blends and cheap ingredient forms. Only high quality, high dosages here. I prefer the Noopept delivery of psychostimulation over the jittery jolt of cheap, caffeinated energy. Having said that, Awaken Gold pairs well with your morning cup of coffee, thanks to L-theanine’s complementary focus-sharpening effects on stimulants. Awakened Alchemy removed the pricing confusion present with their original brain health supplement. 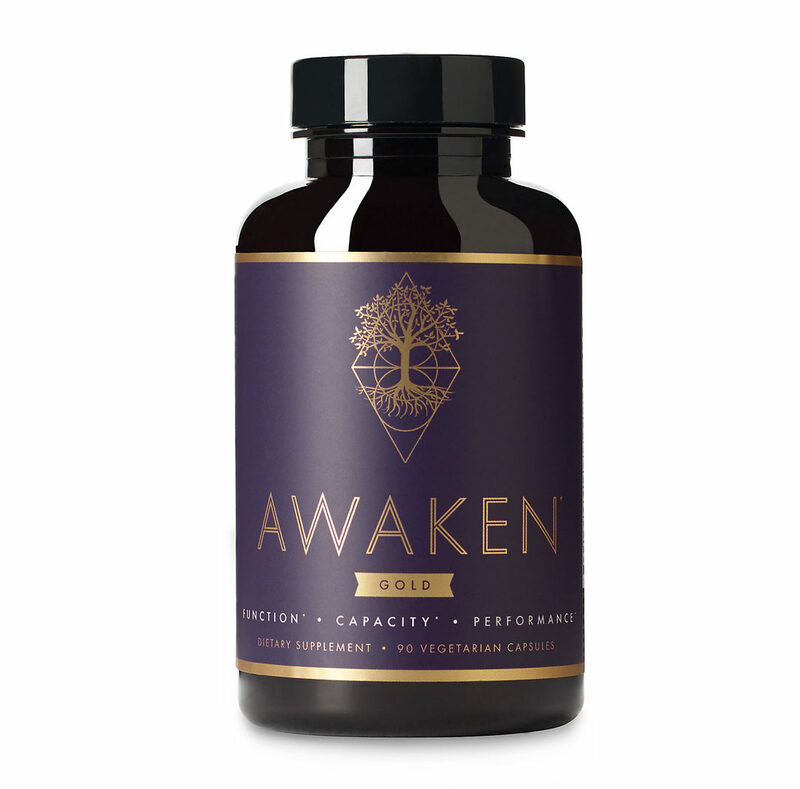 Noopept introduces a cycling factor to the Awaken formula. No more shilajit nor sulbutiamine — a con, if you’re particularly fond of those ingredients. If you buy through the Awakened Alchemy online store, these are the listed prices. The standard 1 bottle order lists at a reasonable $2.20 per serving, whereas the 2 bottles and 3 bottles orders save you 10% and 15%, respectively. On a per bottle basis, Awaken Gold seems expensive. Yet, you’re receiving 45 servings per bottle, an upgrade from the usual 30 servings. Awakened Alchemy is an interesting supplement brand. It’s definitely one of the cooler nootropic supplements around, sporting a somewhat bionic all-natural/synthetic-supercharge design with its mix of clean, green nootropics and lab-synthesized Noopept. Awaken Gold taps into the transhuman zeitgeist of the modern bio-hacking community, delivering something unique for the competitive, yet health conscious, thinker. You can buy Awaken Gold through a few online retailers, including the Awakened Alchemy and AHAlife websites. No Amazon listing at time of writing. Yes, Awaken Gold works. And it works very well, I’d say, thanks to the supplement’s emphasis on high quality ingredient forms that are sufficiently dosed. Everything in this stack simply makes sense for cognitive enhancement, and I dig Awakened Alchemy’s unique Original vs. Gold options, as compared to the usual Caffeine vs. No Caffeine supplied by other manufacturers. Awaken Gold should appeal to both the health conscious and the competitive smart pill users. It smartly bridges the gap between natural and synthetic in a nuanced way that other supplements fail at. If you’d like to see more awesome nootropic stacks of this caliber, I recommend checking out my Best Nootropic Supplements of 2018 list. Otherwise, for now, here’s my rating review on Awaken Gold.